Veterans Assist Scotland » Runner Ryan’s fundraising bid for Poppyscotland is no small feat! You could say he’s a man who does things by halves – just lots of them! Glasgow man Ryan Small is taking on the challenge of running a half-marathon each day for a month in order to raise vital funds for leading Armed Forces charity Poppyscotland. “I was inspired to do this after watching a video with US Marine Paralympic athlete Rob Jones. 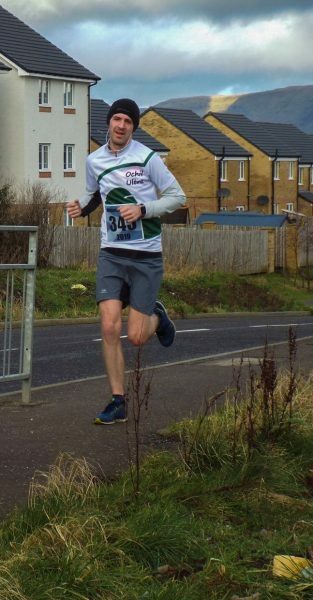 Rob lost both legs above the knee and still managed to run 31 marathons in 31 days – an outstanding achievement by any standards. “I started running when I was living in China and I’ve never stopped really. I only started entering races in the past three or so years, starting with half marathons, full marathons and then on to ultra marathons. My challenge starts on May 1st. Most of the running will be done in Glasgow, and the majority of that will be road running, but I really like trail running also, so being from the Borders I’ve planned a few routes down that way, too. “A number of members of my family have served over the years and I’m proud of them all. My great granddad, Robert Drummond Small, served in World War One. He was in Egypt, Palestine, Gallipoli, Belgium and France. My granddad’s brother, Robert Small, served in the Second World War and was sadly killed in action four days after D-Day. His unit was clearing a town and he was shot by a sniper. • For further information and all media enquiries or to arrange an interview, please contact David A. Findlay, PR Manager at Poppyscotland, on 079797 35611, or email at d.findlay@poppyscotland.org.uk. • Poppyscotland provides life-changing support to the Armed Forces community. Money raised from the Scottish Poppy Appeal and Poppyscotland’s year-round fundraising enables them to deliver support to members of the Armed Forces community in Scotland by providing tailored funding and assistance. The charity also funds services in advice, employment, housing, mental health, mobility and respite. Please note that we are known as “Poppyscotland”, and not “PoppyScotland” or “Poppy Scotland”. For more information, please visit us at: www.poppyscotland.org.uk.